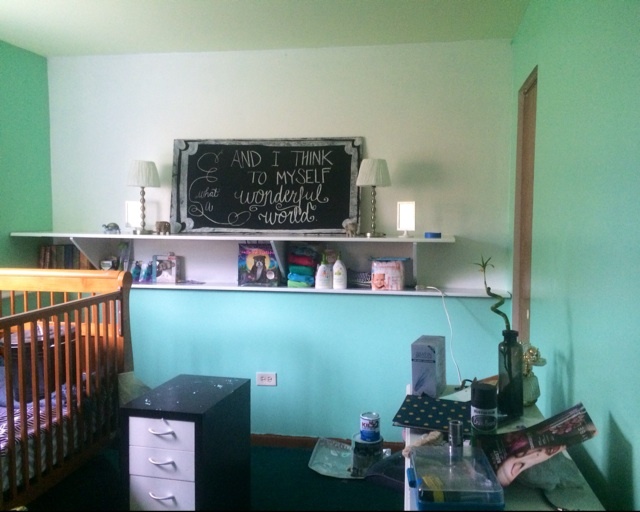 I'm TTC but I'm making a nursery! By hubs helped me paint and I can't wait to get things ready! TTC can really get you down but I'm feeling a lot better since I've turned our spare room into a nursery. Every month we will so something new to the room! Bri • Tue, Sep 16 2014 • 23, married for 4 years, TTC for baby #1, miscarriage at 8 weeks in December 2014, rainbow baby due August 2016!